Eldon Johnson has danced professionally all over the world, including the countries of Germany, Switzerland, Austria, South Korea, China, Costa Rica, Mexico, Haiti, and all across the US. 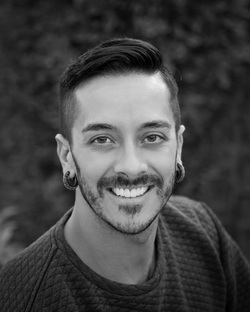 Eldon has been a company member of Odyssey Dance Theatre now for 18 years, and has done guest work with Parsons Dance Project, Mia Michaels RAW, and SoulEscape. Most recently, Eldon had the opportunity to perform in Andre Kasten’s production, “Gray St.”, at the ACE awards showcase in New York City. Eldon was featured on Nigel Lythgoe’s hit reality TV series, “A Chance to Dance”, where he made it to the final 8 dancers, and was able to work with British choreographers Michael Nunn and William Trevitt, founders of the esteemed company, The Ballet Boyz. He has worked with many choreographers such as Travis Wall, Dee Caspary, Derryl Yeager, Bonnie Story, to name a few. His commercial credits include MTV’s 2010 Video Music Awards with Florence + the Machine, “Dear Dumb Diary”, Glenn Beck’s “Man in the Moon”, Disney’s “High School Musical 1 and 3”, MTV’s “American Mall”, Redken, Windows 7, Usana, Xango, and assisting on the hit show, “So You Think You Can Dance”. Eldon was also Utah’s Best of State Individual Dancer in 2010, and is an accomplished choreographer for studios, professional dance companies, music videos, and various industrial projects. Currently Eldon is dancing, as a guest, with Salt Contemporary Dance here in Salt Lake City, Utah.